This blog’s adventure begins with Convergence. What is Convergence? 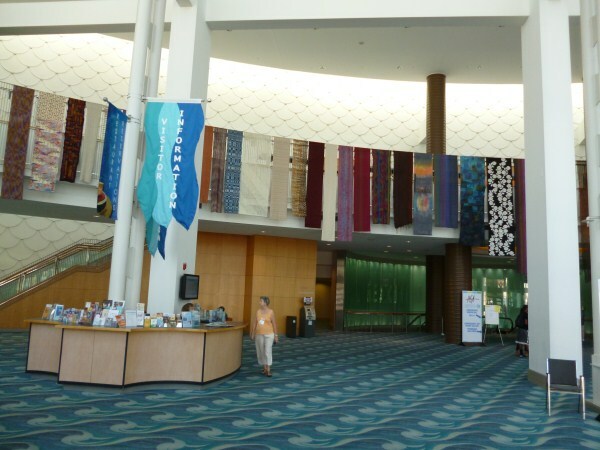 The conference is organised by the Hand weavers Guild of America (HGA) and is run biennially. 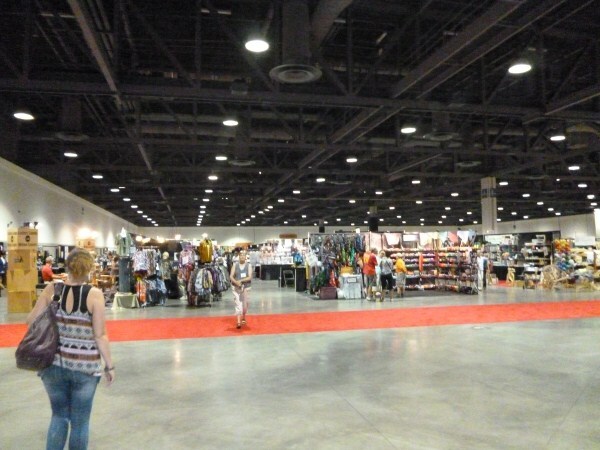 It occurs in various locations with this year’s being in Long Beach California- one stop on from Brisbane. There’s a range of events focussing on weaving and related textile topics. Events include tours, workshops, seminars, exhibitions, fashion parades, and trades hall. I had a wonderful 2 tours focussing on ethnic collections, just to recover from the trip across. Then my Convergence experience focussed very much on my teaching both a 2 day workshop and then 4 seminars. 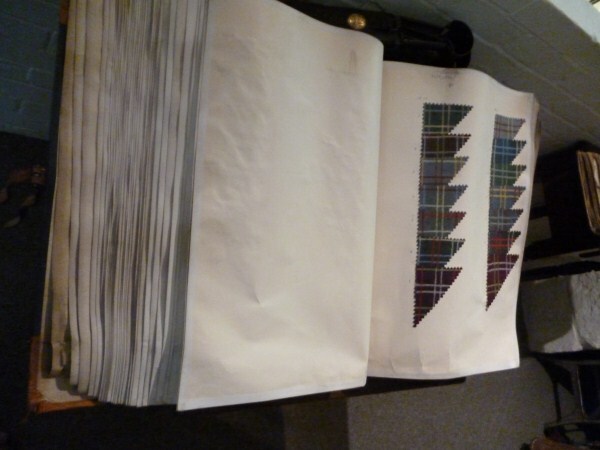 In addition I did the final judging on the yardage exhibition. It was difficult to find time for many extras but I did get to see the fashion parade, the Complex Weavers exhibition, Glamor, Glitter and Glitz (It was fabulous and I’ll look forward to seeing it again in Washington DC in September), the HGA exhibits and some shopping (but not enough though my pocket is thankful) Unfortunately I can’t show many images as much is covered by a no photography policy. Congratulations go to HGA on a great conference. From there it was a long flight to the UK. I am not attending the Olympics but am spending some time having a look around. I’ll share some textile moments. 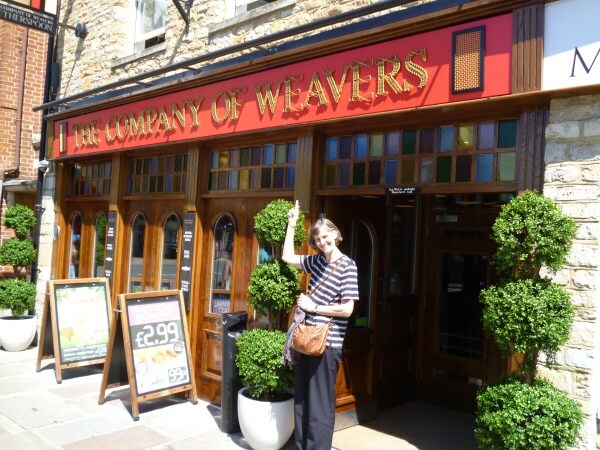 A pub called “A Company of Weavers” in Witney. 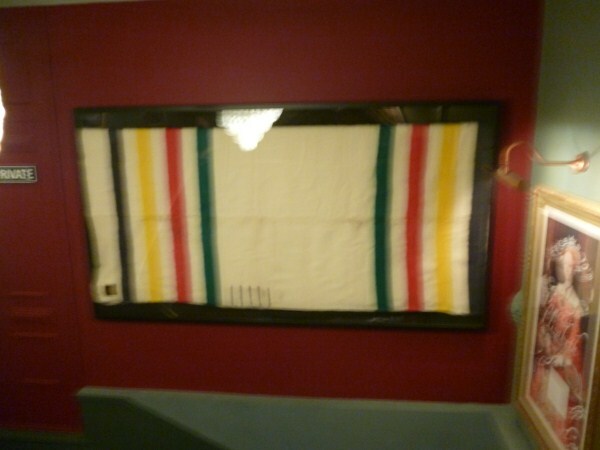 This town was a centre for the production of woollen blankets including the point blankets that were traded with the USA native Indians. 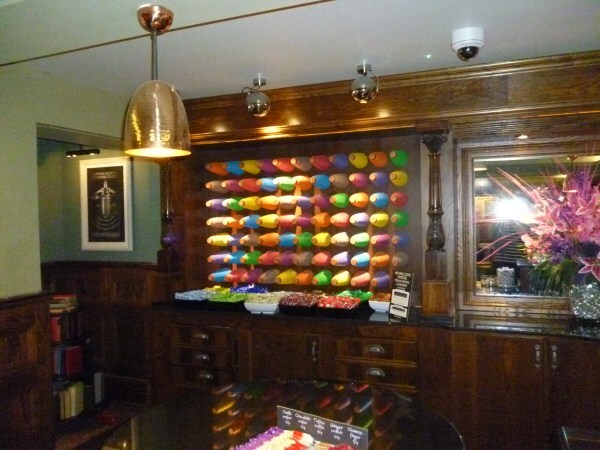 The pub had various didactic panels, a wall panel consisting of yarn cones, light shades of yarn cones. I heard about a mill in Filkins. Unfortunately due to economic times this company that originally ran 2 mills had to close one. This site now has a retail outlet and museum. In the museum, I came across this sample book. I have noted a number of textiles, including velvet used in old castles or churches. Perhaps the most significant was in Kilkenny Castle, Republic of Ireland where some scraps of original textiles had been found behind skirting boards which were then recreated by Prelle. I have been through Prelle in Lyon, France where I had seen old textiles being recreated, often with reference to the original specifications. The blue “silk poplin” was large scale floral style. Unfortunately as in many of these historic establishments, photography is not allowed, so I cannot show an actual image of the cloth. Finally, you will perhaps have gathered from previous posts that I am fascinated by the universality of motif. Here are some very old concentric circles and spirals. 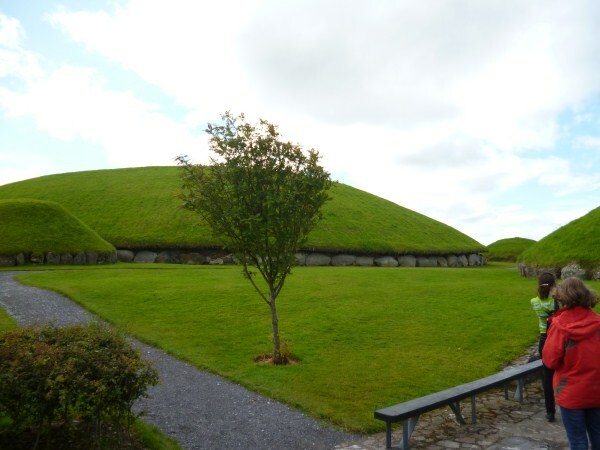 They were carved into boulders at Knowth and Newgrange in the Republic of Ireland and date from 3,000BC. 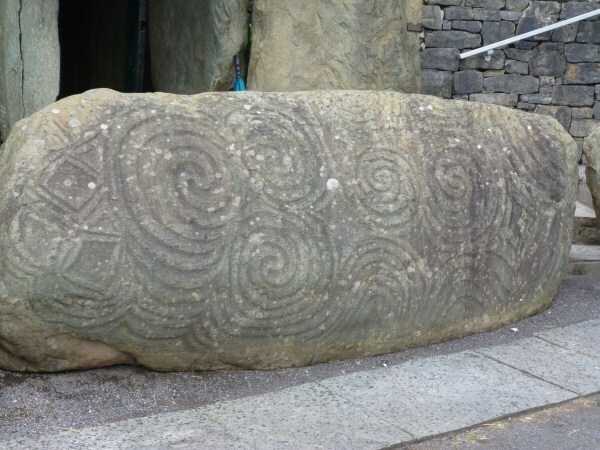 Yes, these motifs have been in use for over 5,000 years! They must have had some significance. The effort to carve these using rock on rock so that they would last till now would have been extreme. You are currently browsing the Kay Faulkner's Blog blog archives for August, 2012.